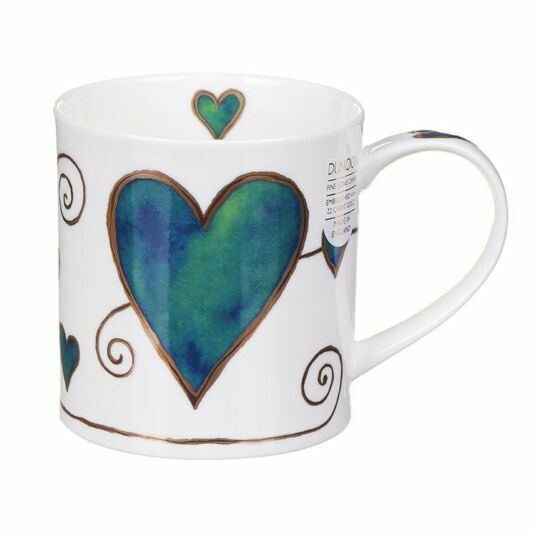 A wonderfully romantic design by Caroline Bessey for Dunoon, this gorgeous mug features a bold teal heart design which is repeated on both sides of the mug. The hearts are outlined with real gold leaf for that extra special touch. 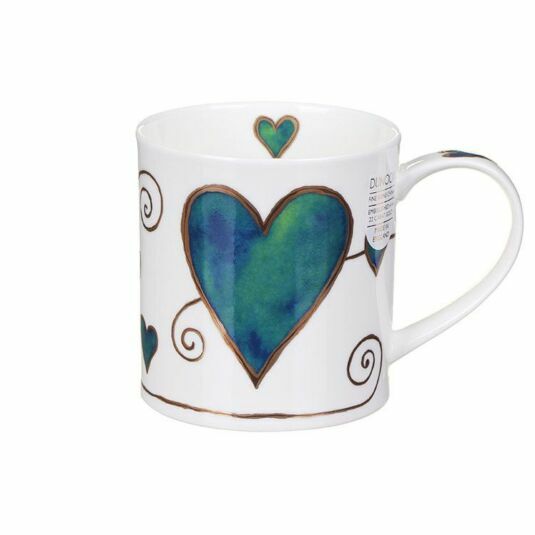 A smaller heart sits on the inside rim along with on the handle, also lined with gold leaf.